The group of shinobi were hidden within the confinds of the large cave lit up only by the suns rays. Kakashi was the one out of all who would be devising the plan and such. Staning infront of the large group of Shinobi's infront of him, he would have to try and devise a good and smart plan as quick as possible. "I have made up the teams. Seeing as how Tobi has volenteered to be alone" as he could be found sitting ontop of the cave. "We will have two teams of four and one team of three. Because of who i am dealing with it was not easy to make the teams, and i do not know if they will work out well. But here they are. Team one will compose of : Kakashi, Gai, and Temari. Team two: Sakura, Gaara, Neji, The Raikage. Team three: Tsunade, Sakon, The first, Kisame. Then there is Tobi." Everyone got into their teams and examined each other, and noticed that they each had a dog from Kakashi. And on Kakashi's shoulder was Pakkun. The dogs were there to sent out anyone or thing when it was near. "Now, we know who we have to take out for them, but we do not know who out of us needs to be taken out." Kakashi would then explain the plan to the shinobi making sure they understood, except for Tobi, because the plan was already explained to him. Now it was simply a matter of seconds before everything was put together and they got ready. Team two was getting ready to leave, they were just waiting for a while before they departed, so they staid far away from the cave hidden within the forest. But team three (the only ones near the cave), were getting their plan ready. They too were hidding secretly within the forest, but within range so the wave was in view. All four of them were hidden within the trees and bushes, but Kisame was standing right infront of the door way of the cave. This was the first step to team three's plan. The trio finally breached the forest, and soon found themselves traveling through the trees. Anko was a little nervous, and actually starting to sweat a little bit. She looked at the other two, only to find that Itachi was cool as a cucumber, and Kidoumaru looked like he was actually anxious to get started. At the same time, Anko felt nervous for being with them, but also a little safe. This was a terrible place to be traveling, though. With so many places to hide, they could get ambushed from any angle. It was a good thing they had a Sharingan with them. (Hmph... I bet Shikamaru choosing to send Itachi's team into the forest was no coincidence...) she thought to herself, as a nervous smile spread on her lips. Team four waited patiently as the four shinobi hid in the trees. To know if any enemies had entered the area, the 1st placed little tiny wooden balls that were used to track people, and he was tracking three people in the area right now. Hidden from sight within one of them many trees, the 1st turned over to look as his three teammates who were also hidden within the tree, but in sight to him. He nodded letting them know that there were enemies aproching, and that the plan would so comence. All four of them got ready, waiting to see who they were. But the Kisame standing infront of the mouth of the cave was not the real Kisame, it was a water clone that he created. The Kisame standing infront of the cave was waiting there standing tall for the enemy. Sooner than later, team 4 would finally reach the cave (unless they were attacked, before, obviously). Only they were one man short. While they were traveling, Anko gave Kidoumaru the signal, and he jumped up into the trees. He continued to follow his two team mates, only hidden within the leaves. Itachi's sharingan fell upon a familiar face, and sword. "Kisame..." the Uchiha king said to himself. He could easily tell that it was just a clone, leading Itachi to believe the real enemies were hiding in the trees all around. "We are not here to start a war..." Itachi said to the water clone with his calm, deep voice. Team 4 was at a safe enough distance that if the clone would try making a move on them, Itachi would obliterate it after its first few steps. "Tell us who our President is... that is all we are here for." Itachi explained while Anko remained silent, she was still sweating. As the team of four waited for them to arrive and the 1st was tracking them with the wooden balls under their sandles, he noticed one of the fled off into the forest. But the other two continued on. Clapping his hands together, the 1st would create a wooden clone of himself made from the tree he was standing on. The wooden clone would quickly and silently make his way towards the one that went into the forest. Then the other two arrived, and the four hidden in the trees watched them, knowing it could get busy around here soon. At the same time Itachi said Kisame, Kisame hidden in the trees would say "Itachi.." in a low voice as a grin spread acorss his face. Kisame knew that because of the sharingan, Itachi would know it is a water clone. The water clone would smile and chuckle a bit as he says to what Itachi had to say " hehehe, why don't you come on inside the cave with us so we can discuss it" as the clone slowly starts backing up into the cave waiting to see if the team would follow. Meanwhile, the wooden clone would track down Kidomaru with the tracking balls under his sandles. The clone would land on a tree hidden behind the bushes as he watched the one who of tracked, and he had six arms. The clone would clap his hands together forming a seal, and a bunch of wood would burst out from the tree Kidomaru was standing on. The wood would rapidly wrap around Kidomaru and all of his limbs, and once he was completetly imobile, the wooden clone would walk out from behind the bush to reveal himself to Kidomaru, only a few trees away from him. Kisame must have taken Itachi for an idiot, thinking that his former team mate would follow him into a cave and set himself up for an ambush. "No, I don't think that will be happening." Itachi simply replied as he brought his hands together and formed some handseals so fast only another sharingan could catch it. He leaned back as he sucked in a bunch of air, and then jerked forward while bring a hand up to his puckered lips. He made an "o" with his index and thumb fingers on that hand, and blew right through it. A fireball large enough to block most of the cave's entrance flew into the clone as it scorched the ground. It would push the clone all the way into the back wall of the cave before exploding. The fiery blast was so extreme that some flames shot back out of the entrance and lit up the forest for a second time. Itachi turned around and his crimson eyes peered into the forest. Anko followed. "I don't like wasting time, Kisame. I will ask again. Who is our president." Itachi said, and because they were all hiding, it might seem like he was talking to himself, but he knew they were there. Meanwhile, Kidoumaru (who was about 50ft. away from the rest of them) ran into some trouble of his own. Wooden beams extended out from the very tree he was standing on and wrapped around his body. He was suddenly rendered completely immobile. "What the...!?" he muttered as he forced all he could, but wasn't able to break free from the surprisingly strong wood. He then looked up to see someone appear out of the bushes of a near by tree. He had never seen this person before, and all Kidoumaru could tell was that he was a Konoha-nin. "Who are you!? And how in the hell did you find me!?" Kidoumaru shouted at the wood clone. Even though Itachi gave the answer they were not looking for, it was expected to come. The water clone of Kisame watched as Itachi shot the massive fire ball of his. Being right in the entrance of the wave, the water clone moved into the cave turning against the wall as the fire ball zoomed inside passing right beside him. But then the explotion of the fire ball ended up hitting the water clone as it exploded into water. The four man team watched as Itachi and Anko turned to look into the forest, Itachi asking the same question. The four man team looked at each other, and Kisame signaled them letting them know he would go out of hiding. The 1st being the leader of the group nodded as Kisame jumped out of the forest landing right infront of the border of it. All while the 1st was being on full guard watching Itachi incase he would pull a move. Kisame knowing not to look in Itachi's eyes watched his waist and body movements, as a grin spread acorss his face revealing his razor sharp teeth. "So, Itachi. you really think I would be dumb enought to tell you your president. But we could do it you way. How about a little nigociation. You let us know who our president is, and we will let you know. Or..." Kisame would say as he raised his right hand grabbing the large handle of his samehada "things might get ugly around here" as the grin on Kisame's face grew even more as he chuckled a bit. The wooden clone watched as the six armed man shouted out demaning his questions. The clone smiled a bit and would say " I placed tracking devises on the ground. The minute your team was near, we knew your location. The minute you seperated from them, we knew. So i came over." Hashimara would not answer his first question with the answer he was looking for but his reaspons to it would be "my name is none of your concern. For you wont be alive any longer" the wooden clone says as he slides his feet a bit getting into a sort of stance. Lifting both his arms, similar would beams would come out of the tree Hashimara was standing on, but these ones were thinner and sharper, for peircing power. There was eactly five of them that had formed. Swinging his arms back down, the wooden beams would thrust forward heading towards the binded shinobi all going to stab through his chest. If they made contact with him, they would peirce through him punkturing both his lungs. If it hit him, it would only be a matter of second before he died. The clone had been destroyed, and the real Kisame decided to show himself. He spoke to Itachi, saying that they could either tell each other who the other team's president was, or they could get down and dirty, and have a little brawl in the forest. Despite Itachi's strength, he knew they were probably extremely out numbered and would get demolished if they tried fighting. For now he would just have to talk it out. After a long pause, Itachi answered Kisame, "Fine. Your president... is Haruno Sakura." Itachi didn't repeat his question a 3rd time, and if Kisame wasn't smart enough to figure out it was his turn to answer, he might meet the same fate as his clone. (So this is Hoshigaki Kisame... the S rank criminal from the mist... this could get dangerous...) Anko thought to herself as she got ready to defend herself, if needed. Meanwhile, Kidoumaru was dealing with own shituation. His plan had worked, and he managed to trick his attacker into talking. While he was explaining everything, Kidoumaru was creating a layer of gold metal under his skin. By the time the wooden lances came flying in at him, he was ready to protect himself. The wooden beams crashed into him creating a small explosion on the huge branch he was standing on. When the smoke and bark cleared, it revealed Kidoumaru still standing there, and not a drop of blood anywhere. Instead, pieces of gold were falling from him like a shattered shell. The force of the impact had caused the wood binding him to crack and weaken. The next second, Kidoumaru lashed out, pulling all 6 of his arms free, and then kicking his legs loose. By this time, all the wood and golden armour had fallen from him, revealing his new transformation. Not wasting a single second, Kidoumaru jumped backwards and off the branch. He started falling through the air, but kept his eyes on his opponent. (If this guy is a wood user it wouldn't be the smartest decision to stay on the trees... And until I remove the tracking device from myself I won't be able to hide from them...) he thought to himself as he trusted out a hand, and shot a thread of web out from it. Kidoumaru started swinging between the huge trees, moving as fast as he could towards Itachi and Anko's location to share the information he had gathered. Standing there with his hand gripping the handle of his samehada, there was a short pause between Kisame's question to the answer. And it started to excite Kisame because it made him wonder if Itachi was going to start a battle. Even though Kisame knew of Itachi's strengths, he was still itching for a fight. But Itachi spoke, and said that their president was Sakura. 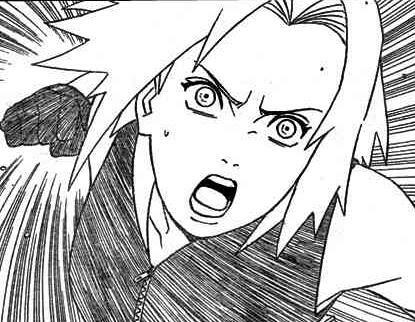 Tsunade's eyes opened wide because she knew that Sakura was part of the reinforcements to help out Kakashi's team. If Itachi spoke of the truth, the whole team would be in grave danger of losing the battle. Still Grinning Kisame would start speaking. 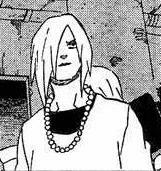 "Hmm, i wonder if your speaking of the truth, Itachi." Kisame would then pause as he thought to himself "it must really be Sakura, because if it was not how would he have known she was part of out team. Now i can't just say any random shinobi name because if im wrong, he'll strike." After thinking it over for a couple of seconds, Kisame would lower his hand from his samehada while saying "your president is that Konoha nin Asuma." 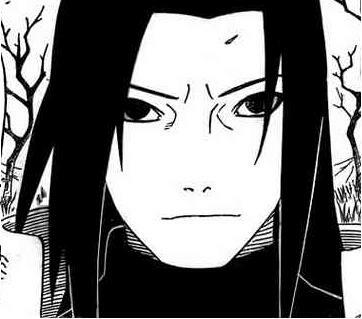 The 1st slightly turned his head to the side when he noticed the other enemy was aproching, but quickly looked back towards Itachi incase he were to attack. After everything happened, the six armed man broke free and he had some sort of golden armour falling off of his body, which must have been the reason why he had not died from the beams. The wood clone noticed he changed apperance, i was confused by it because he had never seen anything like it. Noticing his enemy jump down from the massive tree as he started swinging away to his other teammates. The wooden clone quickly reacted as he started following Kidomaru. Jumping passed the massive trees, the clone would form a hand seal creating a large wooden javelin from its own body. Being behind him, the clone would jump off of a branch and with all its might throw it towards Kidomaru at his blind spot. It would zoom by the bushes and trees, and in a matter of second stab into the back of Kidomaru peircing throught on the other side, if it it. If Kidomaru dodged it, the clone would have to continue trying to stop him in his tracks. As Kidoumaru swung through the air, he heard his attacker jumping from tree to tree thanks to the sound of his sandals hitting the wood. 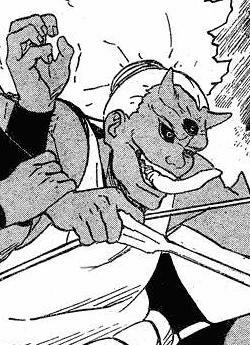 Kidoumaru looked over his shoulder and saw that the wood-user was getting ready to throw a wooden javelin now. Kidoumaru waited for it to leave the clone's hand before he cut his thread of web and spun around in mid air to face the clone now. Dodging the javelin, Kidoumaru then reached back and shot a web from his palm that stuck to the javelin that had been flying away. "Get serious!" Kidoumaru roared as he pulled the string forward, and sent the javelin flying back right towards the clone who had thrown it, and who was now in mid air. Cutting that thread loose, Kidoumaru then landed onto the ground. He turned around and shot out two more threads, one in each hand. They stuck to 2 tree trunks, and then the 6-armed man quickly started taking steps backwards till the webs looked like they were about to burst. Kidoumaru then jumped forward and sling shot himself across the forest floor. He moved so fast that he appeared as a blur of colours, and left a trail of dust in the air behind him. In a matter of seconds, he came to a sliding halt next to Itachi and Anko. Anko looked at him and seemed confused when she realized he was in his 2nd stage. "They've planted trackers on us... most likely our feet, and they're planning to ambush us..." the sweating Kidoumaru informed his team mates. Anko's expression became serious. Itachi's didn't change. Instead, he looked back at Kisame, and said, "It looks like we won't be able to leave as easily as I had hoped with this information... If it must come to this, please understand that I do not have any time to waste..." Itachi warned his ex-partner as he slipped his arms back into the sleeves of his akatsuki cloak. "Heheheheh...! Looks like I'll get to play around with them after all!" Kidoumaru roared with what appeared to be his permanent smile. (Here we go...) Anko thought to herself as she got into a ready stance. The one the clone was attacking seemed to have reacted differently then expected. And the clone found it's javelin coming right back at him while in mid air. The wooden weapon peirced through the clone as the clone exploded into a bunch of wood and fell to the ground. The 1st noticed that Kidomaru was aproching with the tracking devise under his sandles, knowing his clone had been taken care of. Then the target arrived landing beside Itachi and Anko and the moment he was in sight, Sakon grinned. Kisame watched as Orochimaru's pet landed beside the other two and explained that they had been tracked here and were going to be ambushed. Then Itachi spoke as his hands slipped into his sleave showing Kisame that he was prepared to start. But Kisame did not pull his samehada, showing he was getting ready to fight for a reason. Even though he would have loved to, he knows what he really has to do. "Things have changed a little since the begining, Itachi. I had no intentions in stopping you from leaving. I have other matters to attend to with the information we have uptained." Kisame would smile as he says "So, do you still want to stay and fight and waist your time or do want to leave as you had planned on doing?" Not knowing if the team would have left, Kisame was on full alert just incase any attacks were sent his way. 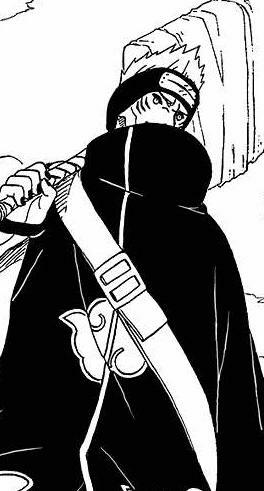 Kisame told Itachi that now things had changed, and they had no intention of ambushing Itachi and his team. When Kisame finished talking, Itachi just stared at him, and there was a long pause. "He's lying! Stop waisting time, and let's slaughter these rats!!!" Kidoumaru roared. A golden mass started growing in one of his palms, and it formed into a wicked-looking sickle. The sound-nin cocked his arm back and got ready to throw it at the shark, but Itachi finally spoke. "Stop." he said with such a calm voice that Kidoumaru actually did stop himself from throwing the golden weapon. "Our objective has been achieved, we no longer have any reason to stay." Itachi explained. Kidoumaru made an angry face at Kisame, as if Kisame was lucky that Itachi was holding the spider-man back. Kidoumaru swung his arm downwards, throwing the gold sickle right into the earth as he returned to his normal form. "Whatever..." he muttered unhappily. Anko on the other hand looked quite relieved. "Let's go." Itachi said, and the next second the three of them vanished, leaving behind small puffs of dust on the ground. Team 4 found themselves standing on a branch that was about as big as a small bridge. They each searched their feet for anything out of the ordinary, and found small wooden seeds. "These must be what they were tracking us with..." Anko said as she pulled hers out from a space in her sandal. Itachi and Kidoumaru pulled theirs out too. "Give me your seeds... I have a plan..." Kidoumaru said with a mischeveous smile. Itachi and Anko held their hands out with the seeds in the middle of their palms, both of them seemed a little skeptical. Kidoumaru took them with two of his own hands while he bit one of his thumbs, and formed a few handseals with his last pair of hands. He placed the hand with the bleeding thumb down onto the wood of the branch, and the moment he made contact, black markings spread out on the bark. There a sudden burst of smoke, but it cleared in a second. Three small spiders were now in the place of the black markings. Kidoumaru fed each spider a seed, and then got back up and looked back towards Anko and Itachi, who had figured out what he was doing. "Alright, now we can go." Kidoumaru said. Itachi looked away and then jumped off the branch. The other two followed behind him. The three spiders scurried off and went on doing whatever it was over-sized baby spiders do. If the 1st tried tracking Itachi, Anko, and Kidoumaru so they could ambush the team, he would end up being greatly disappointed. Itachi, Anko, and Kidoumaru all came to a stop on a branch when two figures landed on the exact same branch, at the exact same time. It was Sasuke and Bee. Anko looked at them in confusion and asked, "What are you guys doing here? And check your feet for weird looking seeds that are all over the ground." Sasuke looked at her and replied, "We didn't travel by ground." "Sarutobi Asuma is our president." Itachi said with his flat voice. "We know, yo." Killer Bee replied. "We battled some ennemies on the central island, he was snatched away by a dark hand, and they both escaped like sand, yo..." Bee explained. "Kabuto was captured as well." Sasuke added. "This isn't good... why didn't you chase after him!?" Anko asked. "It was Tobi. He used some form of teleportation technique, so we have no idea where he went. Did any of you encounter him here?" said the younger Uchiha brother. "No... we didn't see him, but maybe he was hiding like the others waiting to back Kisame up?" Anko suggested, and Itachi cut her off. "No. He wasn't here. If we haven't lost yet, that means he's planning something... He is probably going to try and capture the other team's president as well." Itachi said calmly. "So what are we going to do." Kidoumaru said with a little bit of attitude. "Shikamaru and Hinata are heading towards the bridge to try and meet up with Team 2. It would take too long for all of us to travel there as well, and it would be a foolish move. We should head North, for the mountains. We're clearly the strongest team, so if anyone gets in the way, it won't be a problem for us. Our goal is to find Tobi and try and getting Asuma back, or killing that team's president before it's too late. Let's go." Sasuke said, taking charge of the situation. Everyone agreed in silence, so he was the first to leave the branch. The rest followed, and they moved through the forest of giant trees like a swarm of blurs. Two black figures jumped off of the oceans water and into the branches and cover of the trees. Swiftly dashing around the forest making absolutly no noise, the two figures would run around the forest looking for any enemy targets. After a while of running around they made it to a large cave that stood to the far east of the island. Entering the large cave light up by the huge entrance, it was completely emtpy. Looking around in his Akatsuki cloak Juugo would ask his best friend "They probably used this for their bade." "Yes but it seems that have all left." "Mabe this is a trap of somesort." Juugo asked. "No, if it was a trap they would have already attacked us. Let us search some more then we shall head for our next target." Juugo nodded as the two of them left the cave and started searching more of the massive forest that serounded them. Sakura re appeared in the cave as she fell down leaning against one of the walls of the cave as she pulled out the kunai stabbed into her. Rapidly putting both her hands onto the wound she would start healing herself to stop the bleeding and close up her wound. "If Itachi let me go, then that must mean i'm not the president. Otherwise he would have killed me instantly. My team has to watch out, or it could be the end of us."